John and Kim were married last summer at one the best DC venues with a view, the Newseum. 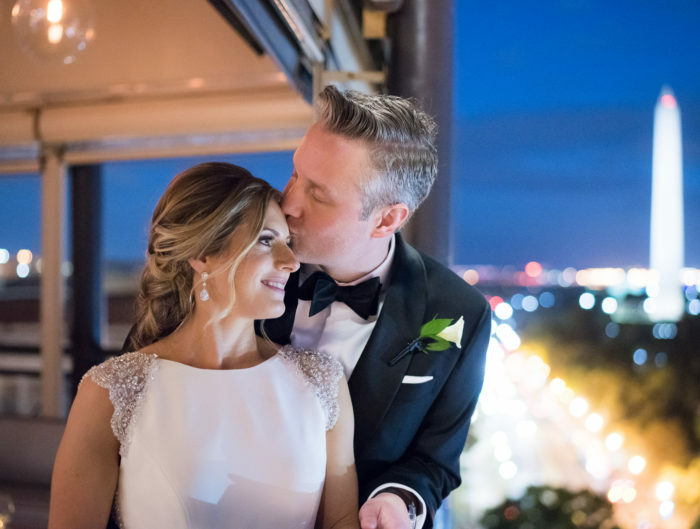 On the building’s rooftop terrace overlooking the Capitol building, a friend officiated their wedding full of personal details and special touches. There isn’t a moment in which these two don’t look radiantly happy. We love their energy! The outdoor Jewish wedding ceremony concluded with family reciting the traditional 7 blessings, John and Kim then broke their respective glasses together! To play off the unique design and lines of the modern DC venue, the coupled opted a color story of sleek grey, metallics, and white, making for a chic reception aesthetic! We loved the lucite place cards at each setting which featured guest’s names scripted in calligraphy. Not only were they beautiful, but they also made for a great favor at the end of the night. Lucite also made an appearance in their chair choice and centerpiece accents. 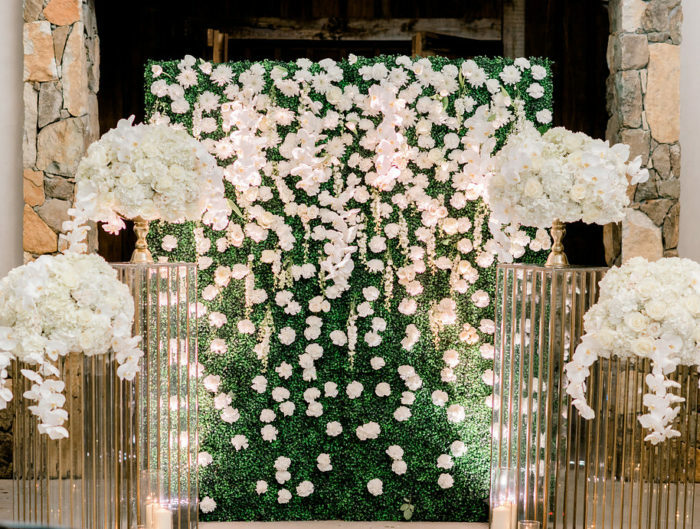 We also can’t get enough of the mixing of metals at this wedding. Who says you have to choose silver or gold? We want both! Thank you so much to Kelley Cannon Events and Genevieve Leiper Photography for sharing this joyous DC Newseum wedding with us today!